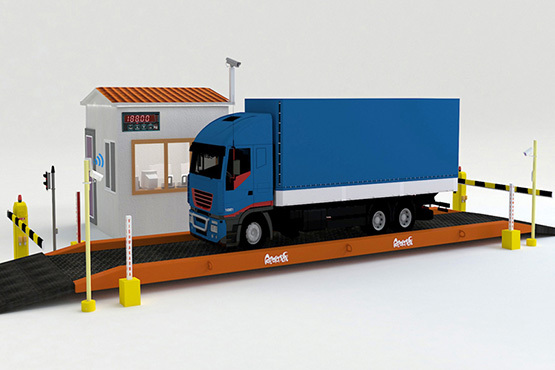 Visco India's Unmanned Weighbridge System is a Unique and True "UNMANNED" solution. It allows 24 X 7 weighing operations without the need of any permanent physical operator. Driver just need to carry the RFID card and rest it will be simply touch and go solution, system is smart enough to handle rest other check and processing. All terminals will be equipped with RFID reader, IP camera, Traffic Light, Vehicle positioning system, Printer, Loop detector and Alarming system for a full proof robust system which will provide correct and auditable data. Same data can be transferred to Head Office for consolidated reporting and auditing purposes. HO has consolidated data of all sites and they can view all transactions on various types of criteria such as "Supplier/ Material/ Vehicle No/ Date Range". They also can audit any incomplete or suspicious entry which will automatically identified by our application. Since all the data will be available in database, same can be utilized by any other existing company applications.